As the fast-paced business world continues to innovate and grow more complex, an unprecedented demand for skilled business analysts has emerged. Weatherhead’s business analytics curriculum is designed to strategically advance your business analytical skills and place you at the forefront of big data and business operations. applied business analytics (12 credit hours). The Business Core provides students with a holistic understanding of the underlying business context necessary for succeeding in any industry. 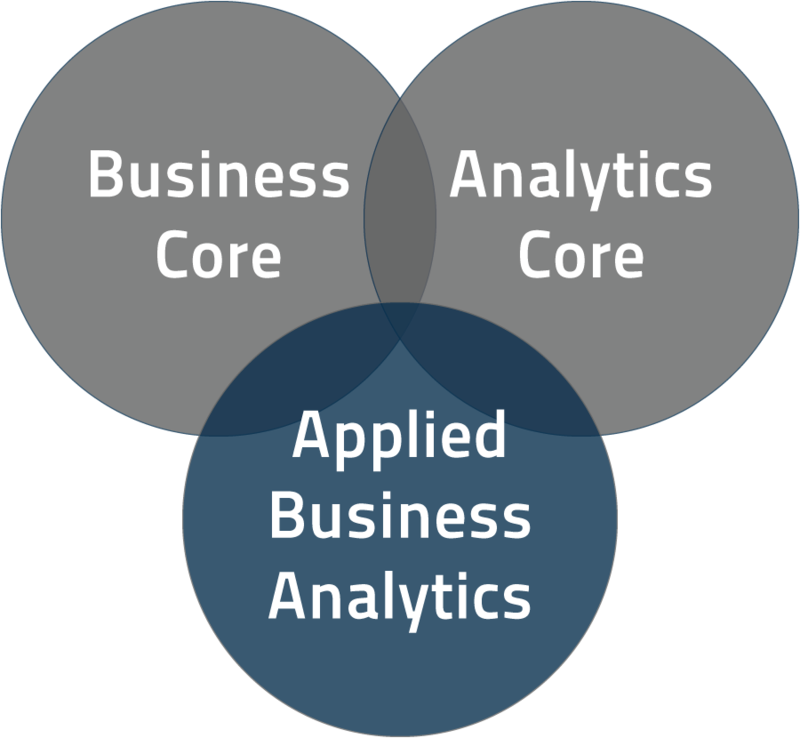 The Analytics Core equips students with the general data handling, data presentation and business analytical skills, and the courses in Applied Business Analytics build off of these general skills to improve the students' ability to make decisions in the two most common application areas: marketing and operations. using a wide range of tools appropriate for today's business data. The program is delivered through a range of open source and commercial statistical software (e.g., R, SPSS, SAS, Stata), preparing students with the necessary user expertise to excel in analyst positions across industries. * Each of the Professional Development courses are 1.5 credit hours; all other courses are each 3 credit hours. Request more info or find admission information, such as application requirements, deadlines, and program start dates for the MSM-Business Analytics program.